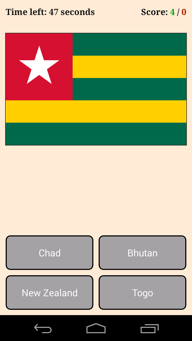 Download Flags Lite for Android for free, and get into the flags fun. Then, if you enjoy the app, upgrade to the full version to get even more ways to play and learn. 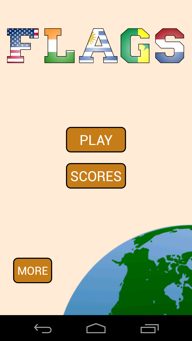 Flags Lite for Android version 1.0 released! 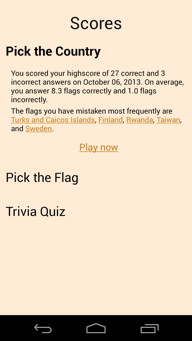 Flags Lite keeps track of your score. Have a minute of spare time? Use it to improve your highscore! Also, feel free to send us feedback, so that when we have some spare time, we can keep improving the app. 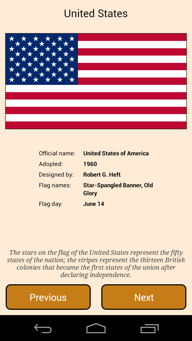 a glossary of flag-related terms.